Use to model still or slow-moving water, such as ponds, rivers, lakes and more. Pour directly from the bottle. 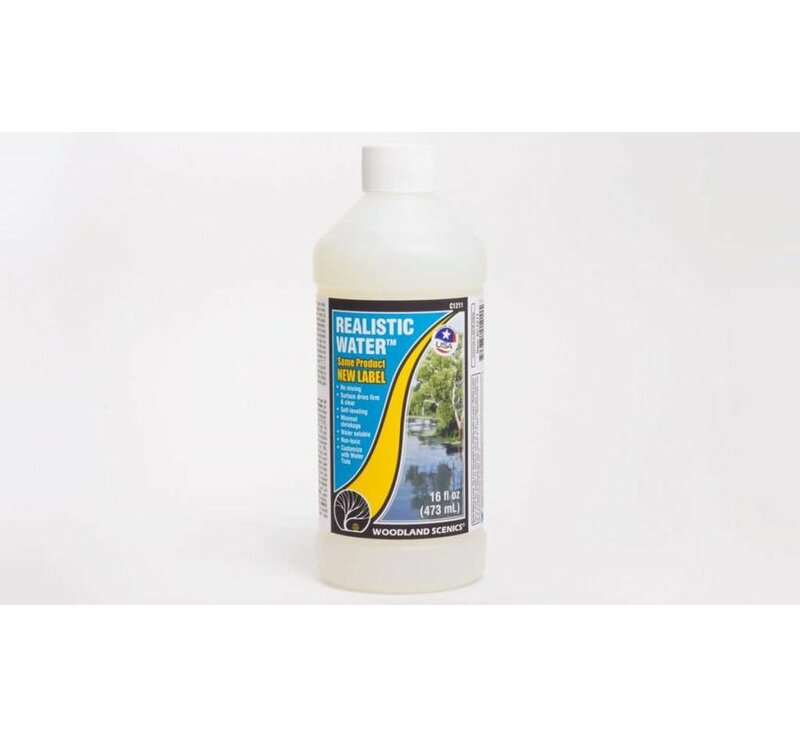 Realistic Water is self-leveling, water soluble, it won’t crack and has minimal shrinkage. Surface dries firm and clear in approximately 24 hours, depending on humidity conditions. Non-toxic. 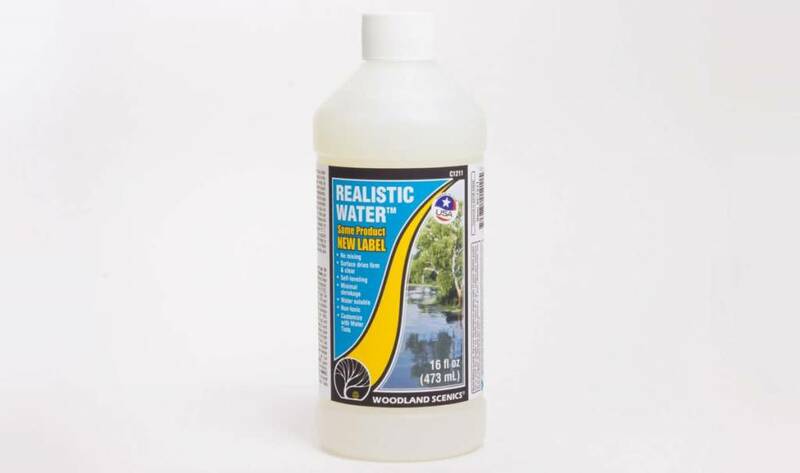 Seal water area with Plaster Cloth and use only Woodland Scenics Earth Colors™ Liquid Pigments, Water Undercoat or 100% acrylic paint when preparing your water feature. One bottle covers an area 17 in (43.1 cm) in diameter if poured to a depth of 1/8 in (0.31 cm).